Thesis Title: ‘Precipitation in an Al-6%Zn-2%Mg Alloy’. Thesis Title: ‘Analysis of Hydrogen and Inclusion in Aluminium and Magnesium Alloys’. 1.7.72-1.1.81: Scientist in metallurgy at SI, Oslo. Since 1996: External Examiner at the University of Oslo and the University of Trondheim in a series of courses in Metallurgy and Solid State Physics. Ecole de Mines, Nancy, France in 2004. 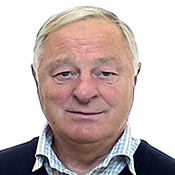 Publications Christian J. Simensen has 71 scientific publications in physics and metallurgy in books and international journals. He has ca 50 publications in history and numismatic. TV-Films Christian J. Simensen has participated in 3 films concerning the collapse of the Twin Towers in New York on 11 September 2001. The last film was: Blink Film, England: ‘The Missing Evidence’, shown on Channel 4 (UK), 2 November 2014.